Laid down, date unknown, as a Maritime Commission type (S4-SE2-BD1) hull, under Maritime Commission contract (MC hull 1863) at Consolidated Steel Corp, Wilmington, CA. 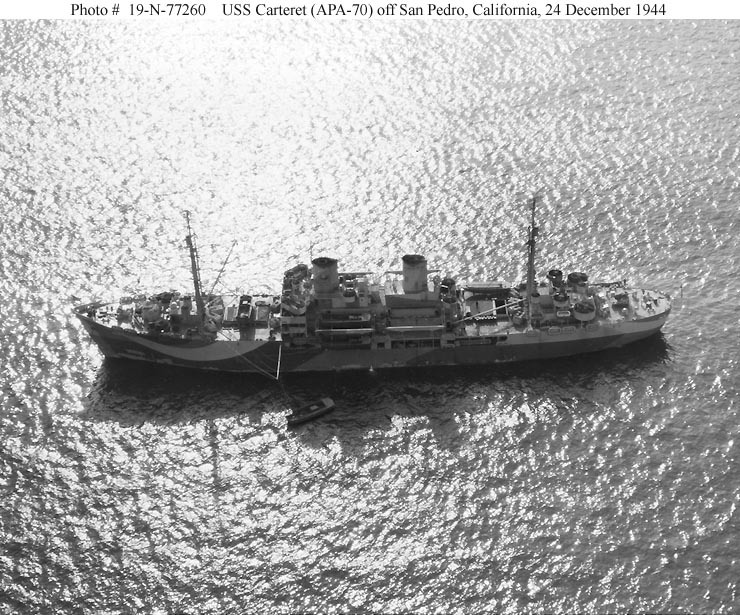 95k USS Carteret (APA-70) at anchor off San Pedro, CA., 24 December 1944. Her camouflage is Measure 12 (Modified), Design 15F. 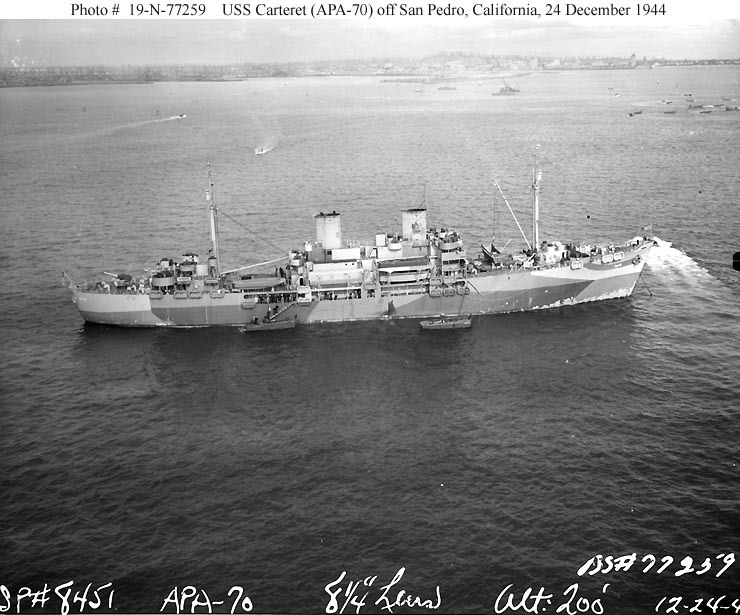 162k USS Carteret (APA-70) at anchor off San Pedro, CA., 24 December 1944. Her camouflage is Measure 12 (Modified), Design 15F. 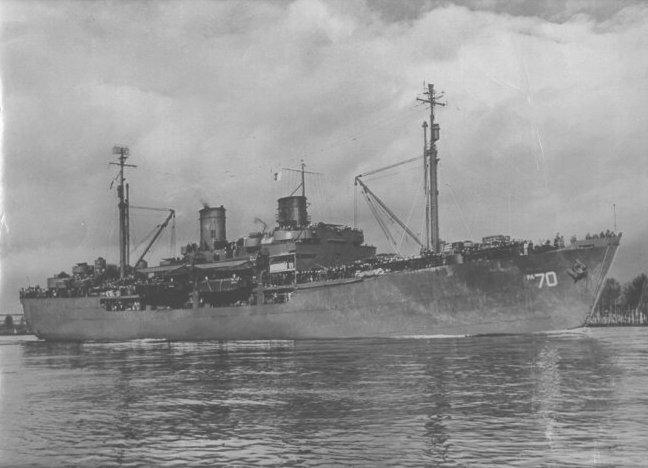 49k USS Carteret (APA-70) underway, date and location unknown. Submitted by Paul Conrad. Photo from the estate of the late LCDR Shazer, DC USNR USS Carteret's Dentist. 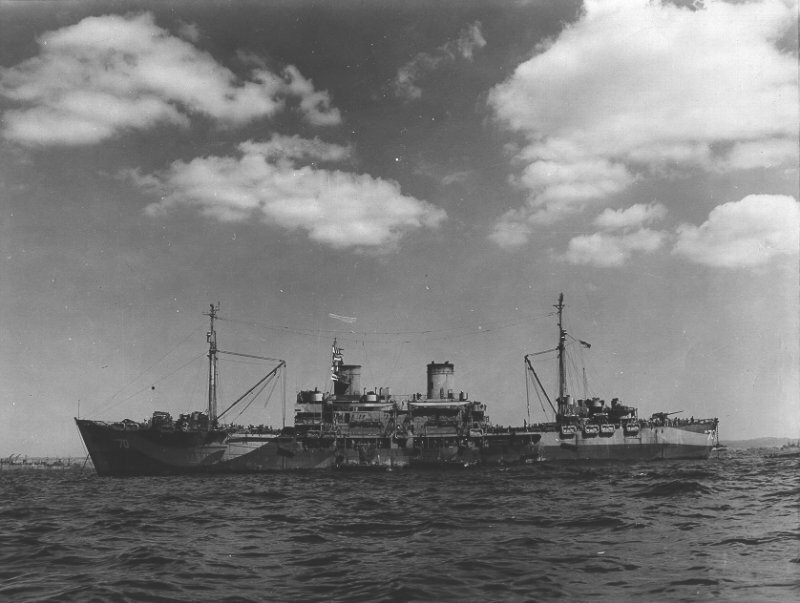 73k USS Carteret (APA-70) at anchor, date and location unknown. Submitted by Paul Conrad. Photo from the estate of the late LCDR Shazer, DC USNR USS Carteret's Dentist. 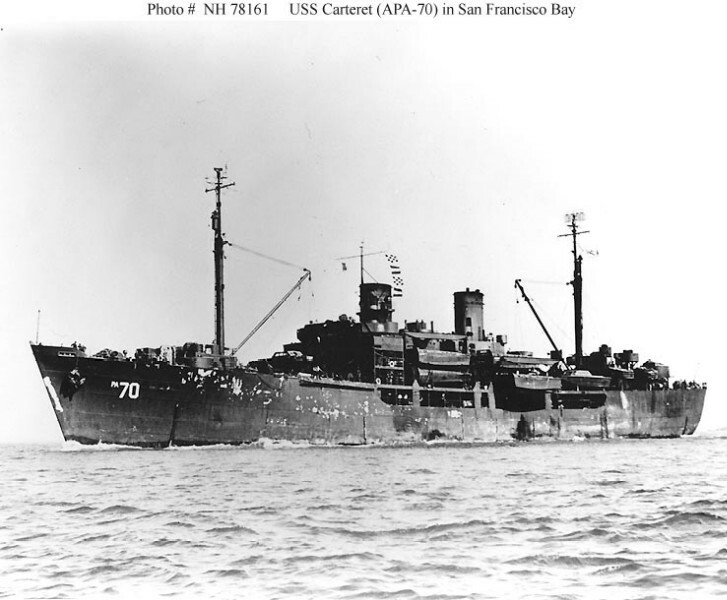 83k USS Carteret (APA-70) underway in San Francisco Bay, CA., circa early 1946..